Business owners spend a very heavy amount of money in Search Engine Optimization (SEO) monthly or yearly, but they do not get what they want. As a Business owner, investing in the right search engine optimization strategies can be a huge difference between in a well known, Successful business and one that’s struggling. Nowadays, SEO is the important factor for any small business to grow in this modern business market. And I know, for startups, hiring an SEO Manager or Digital Marketing Consultant, can be expensive. 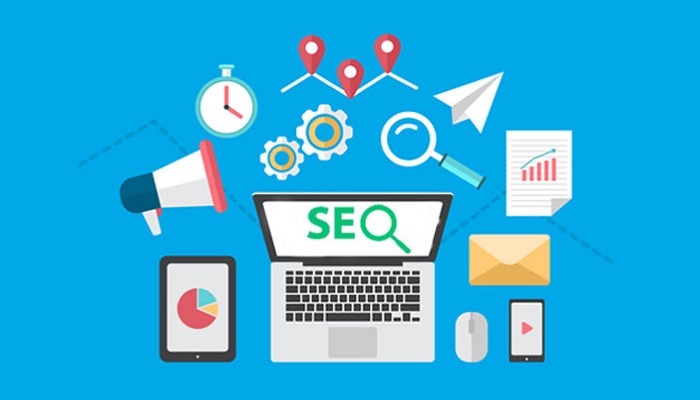 But, with the hard work of some SEO experts, there are some great tools are available in the market to help small businesses or startups to get started with SEO. If you don’t know about SEO, it may be worth it to outsource and hire an SEO expert to help your business to grow. But, if you have the same background and passion to learn more, in this case, I can help you out. Below are the 4 best SEO tools that can help you to gain a better understanding of it and how you can use it to grow your business. Trends- With the use of this tool, you can compare and analyze the keywords and check how users are searching. Google Trends plays a very important role when you comparing your website with your competitors or by finding the right search terms for your website or business. Analytics- Google Analytics is the valuable tool which provides complete data on how your website is doing. It provides complete information about total page views, unique page views, how users are coming to your website and information on your audience. Search Console- Google Search Console helps your business to get discovered. With the use of this tool, you can ensure your site is indexed by Google and use data to find out which products/ services are the most successful on your site. Ahrefs has grown in popularity among digital markers and SEO managers. The tool is very straightforward and easy to use and gives users very comprehensive and understandable data visualizations as well as data export capabilities. A main feature of Ahrefs is insights on your competitors. By analyzing the competitor’s activity, you can make a better SEO strategy for your business. SEMrush is a business tool that you can use for finding profitable keywords. This tool provides competitor analysis also and we can say that this tool is a complete business intelligence software solution. With this, we can easily understand the competitor strategies and the industry you are running a business. The best part of SEMrush tool is that you can use it with any number of websites. Whether you are running a personal blog or a small Business website, SEMrush can easily work for you in terms of finding relevant keywords, auditing your website, check rankings and back-links. You can easily track on high performing keywords. This tool offers a free 14-day trial and then you can extend it to paid membership if you think it’s a useful tool for your business. Optimizely is an A/B testing tool that businesses can use to better their websites. A/B testing is a method used by digital marketers and web designers to analyze two types of web pages, landing pages or websites and determine which one is better received using live analytics. Even if it’s a subtle change, like adjusted colors or differing design elements, A/B testing can provide worthwhile insights. Optimizely plans start at $17 per month.